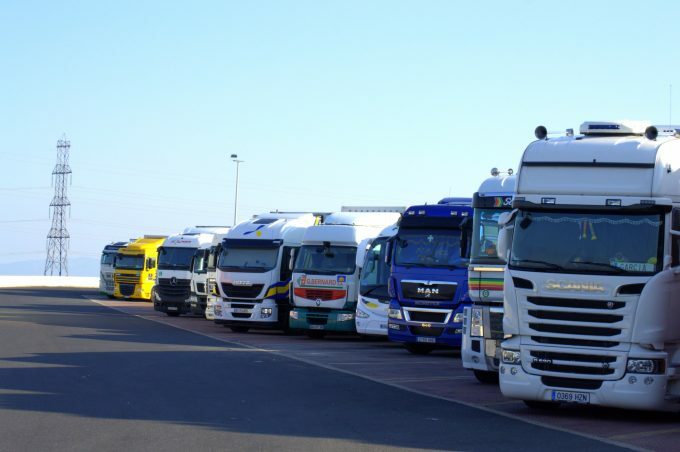 The UK government must back its vow that HGV drivers from EU nations will retain their permits following the UK’s departure from Europe with legal validity, said the Freight Transport Association (FTA) today. Deputy chief executive James Hookham told The Loadstar the 43,000 EU drivers working on UK roads were “pivotal” for the country’s economy and supply chain. “It is not just drivers, 25% of all warehouse workers in the UK are EU nationals – the government has said these people will be able to continue working, but we need legal validity,” said Mr Hookham. Mr Hookham said it was just a plain fact that the country could not continue to function without the drivers, and there was no contingency option. He said “in time it may” be possible to recruit from the UK, but added: “It is important the government understands there is no contingency, and losing these drivers would be very, very messy. With the withdrawal set for 29 March 2019, the FTA has already been attempting to instruct members how to deal with any fallout – many fear the country will leave on a ‘hard’ Brexit. Alongside the threat of driver shortages, Mr Hookham said there were some 180,000 UK businesses that would face the prospect of submitting customs declarations for the first time. Mr Hookham said if the 180,000 businesses involved were not informed which classification they fall under, it would be difficult for them to operate. He added that, if the timetable set last year were honoured, the industry needed to know by October what was happening, so it could prepare adequately. “Six months’ notice will be required,” he said. “This will allow for adequate training, the recruitment of new personnel and any necessary changes at the borders. I have only passed my Hgv Class 2 in August last year. I am one month short of getting six months experience in the industry. I have found that it is excruciatingly agonising, to find a job in this industry. Agencies are no help, and I work my behind off, and they still get rid of you. I am seriously thinking about walking away from the industry, because it is impossible to take anyone serious in trying to get a job. For example, I live literally down the road from a haulage firm advertising for class 1 and 2 jobs. Massive sign outside their gates, been there since March last year. I have put my CV in 11 times, been in and phoned them, and all I get is, “We will get back to you”. I have applied to 139 jobs in January 2018 alone, and all I get is, come in and sign up, when it is an agency. Or when it is a haulage firm, either need more experience or insurance reasons. I am probably one of the most experienced person on the road, considering my background. And yet, that does not come into it, it only goes how long you had your Hgv licence, not main licence and previous driving jobs. Not got nothing by end of February, then I’ll go some other industry. At least they won’t be as picky. how can you be one of the most experienced when you’ve only had your licence 6 months? Try a smaller agency rather than one if the big names. Or better still, just give up now and find a more rewarding career. The HGV industry has created this themselves. Bad management and poor wages along with terms and conditions. But they will never admit this.!! So like every other business that messed up run to the tax payer to bail them out while creaming of the top. Ive done 26 years class one. Adr. Moffat .crane. im going to be another of your statistics leaving. Have been doing 7.5 ton agency work for 2 years now and I am saving up for my class 2. If I wanted to study medieval art the government would give me a student loan of up to £9000 pounds a term, but £1000 loan for class 2 not a chance! can someone explain then why there’s 100 new jobs within 15 miles of me advertised today and NOT ONE of them is offering decent pay? I’m leaving this job next week after 20 years of misery to go and work as a labourer on more money. Why anybody would want to become a truck driver in the UK is completely beyond me. Paying out a small fortune to get your licence followed with the ongoing cost of driver CPC should, in turn, translate to half decent wages. However, despite having a professional driver qualification under your belt, the wages are diabolical and no better than someone with no qualifications would get stacking shelves at Aldi. One of the many problems with the UK trucking industry is the reliance on the parasite of the business, namely the dreaded employment agency who have strangely become the unnecessary middlemen between drivers and employers. I gave up the UK trucking industry in 2013 after 22 years of constant agency work with rubbish wages and never knowing what you were doing from one day to the next. At 43 I headed down under to Australia where I now drive Road Trains and paid extremely well. Over here the parasite agencies have fortunately not managed to get themselves between driver and employer as being the unnecessary third party in the employment process which may well be partly due to the employment laws in Australia requiring agency drivers to be paid a 25% loading on top of their basic hourly rate simply for being a casual employee. Apply the same laws in the UK and see how quick the trucking industry would end their love affair with the parasite employment agency!